Read a lot of webcomics? No need to stay tied to a browser to catch up on the episodes you’ve missed. With this easy trick, read them on the go on your phone, PC or iPad, with or without internet. 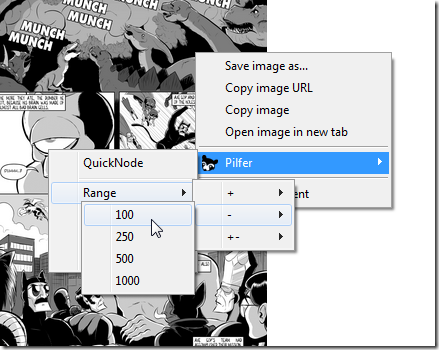 Comic book reader programs like Comical for Windows make reading loads of comics easy—but why not use them for webcomics? 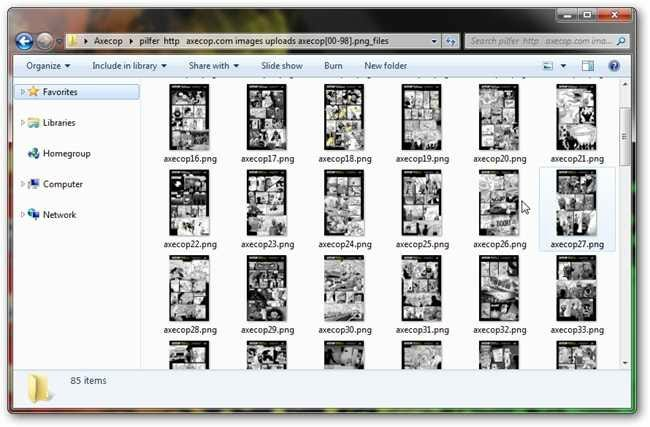 With this simple process, you can turn most of your favorite webcomics into archives of comic book reader files, you can store on your PC, tablet, or mobile phone to read in comfort and style. Keep reading to see how easy it is! Any webcomic with sequentially numbered images will work. 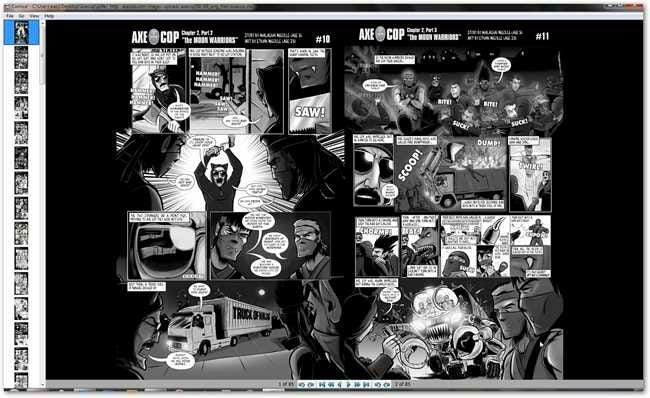 To see if your favorite webcomic will work, we’ll have to look at how the images are numbered. In Chrome, you can right click an image and select “Open image in new tab.” In Firefox, you can choose “View Image” under the same right click menu. 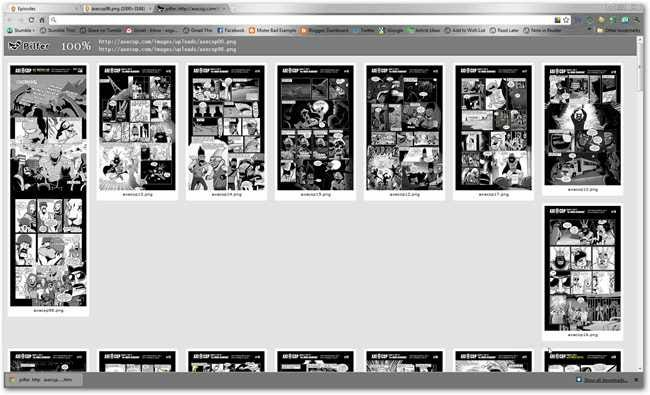 Fortunately, this webcomic is numbered with numerical images, so we can quickly download them all. Here’s how to do it in a few short minutes. 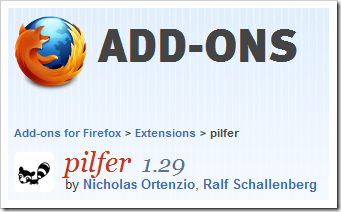 With Pilfer installed (you may have to restart your browser! 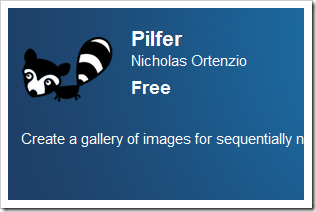 ), right click the image, choose Pilfer, and pick a range of numbers that should grab all the images you need. In this case, we’re only looking for episodes 1 – 100, so we pick 100. 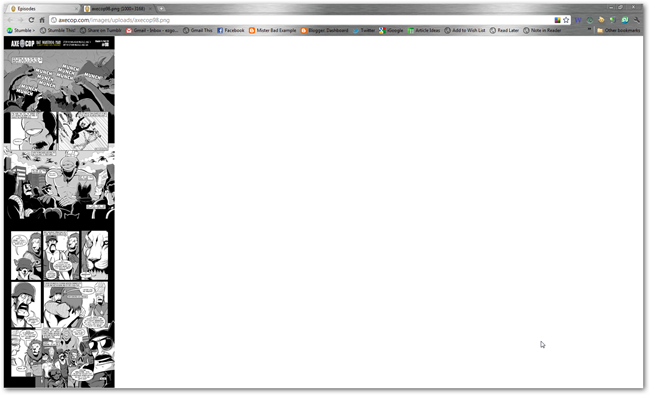 Pilfer finds episodes 10 – 89 and builds this little HTML page displaying them all. 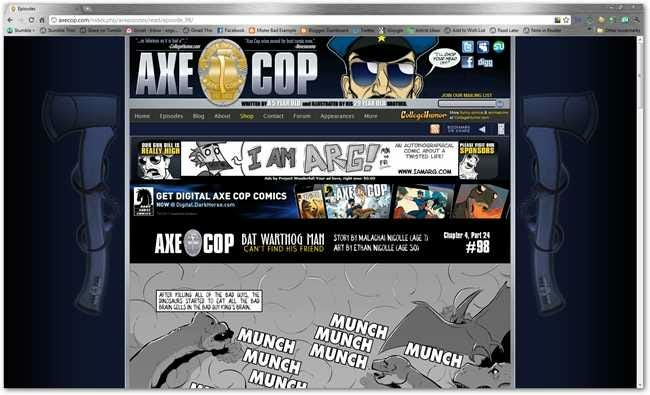 Make a new folder anywhere on your machine (in this case, on the Desktop) and title it appropriate to what you’re downloading (in this case, “Axecop”). 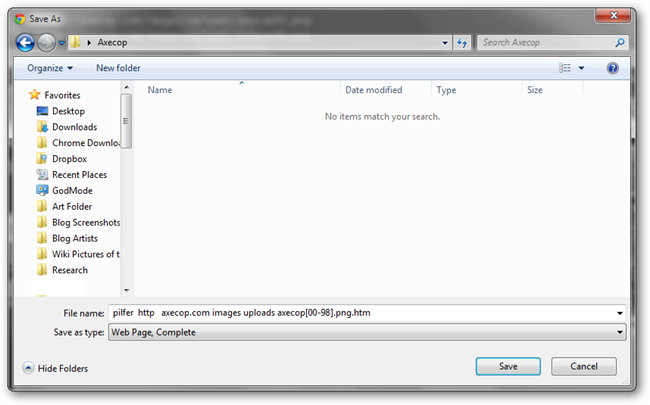 Make certain you choose “Web Page, Complete” so that it downloads all the images as well. Chrome will download ALL of the images in a sub folder inside the folder you made. They’ll be laid out neatly by number. In the case of this comic, you’ll have to sometimes download some images by hand, or restart Pilfer for any images missed. In this case, stories 1 – 9 are all numbered differently, and have to be downloaded separately. Making a comic book reader file is easy. We start by making a RAR file of our Pilfered images. WinRAR is a simple solution for making RAR files on Windows. You can download it here. With WinRAR installed, pick ALL of your sequential images with a quick Ctrl + A, then right click and pick “Add to “… .rar” to begin. WinRAR does it’s magic in less than a minute, and creates the RAR file. And your RAR file is now a functioning Comic Book Reader file. You can now read your bundle of webcomics offline and uninterrupted on your PC, or wherever you go with any good comic book reader program on your mobile phone or your iPad. 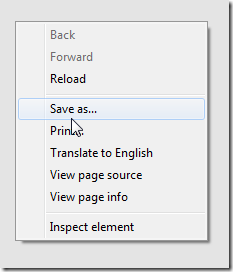 Comical for Windows is an excellent comic book reader for those of you just getting started. Lifehacker has done an excellent (and fun) write up on going digital with comics, and recommends many excellent readers for nearly every OS and gadget around, including iOS and Android devices. Happy comic reading!